Her sister Kim recently claimed ‘she doesn’t want to be a Kardashian any more’. And on Friday, Kourtney Kardashian certainly exhibited shyness not usually associated with the reality TV family, covering her face during an outing with daughter Penelope in Calabasas. The 39-year-old socialite showed off her toned legs in a tiny pair of spandex shorts. The Keeping Up With The Kardashians star paired the flattering garment with a black graphic T-shirt and matching sneakers. Her straight, raven locks were worn loose and at times obscured her face as she sipped an ice coffee. Apart from a pair of slim shades covering her eyes, the mother-of-three also shielded her face with a well-placed left hand over her forehead. Her six-year-old daughter Penelope had no such sense of self-consciousness as she happily trailed behind her famous mother. 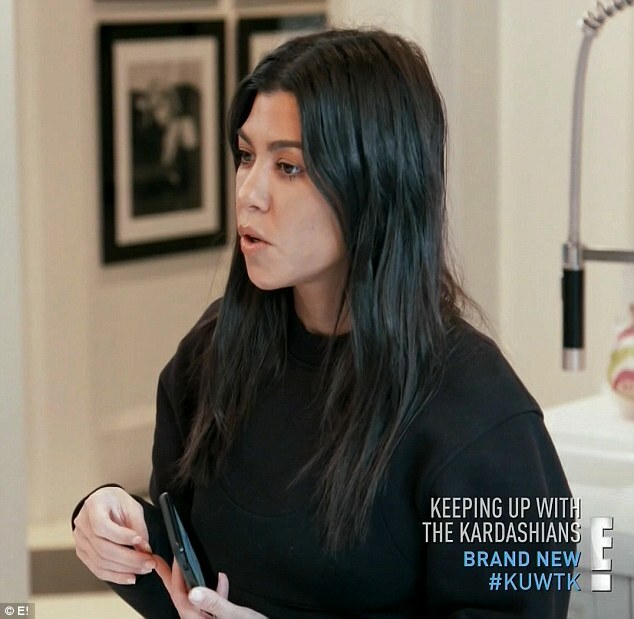 In the new season of Keeping Up With The Kardashians, Kourtney Kardashian has seemed far from relaxed as she regularly bickered with sisters Kim and Khloe. ‘I’m not gonna be around people that bring me down on a daily basis,’ cried the socialite during a heated confrontation in a recent episode. 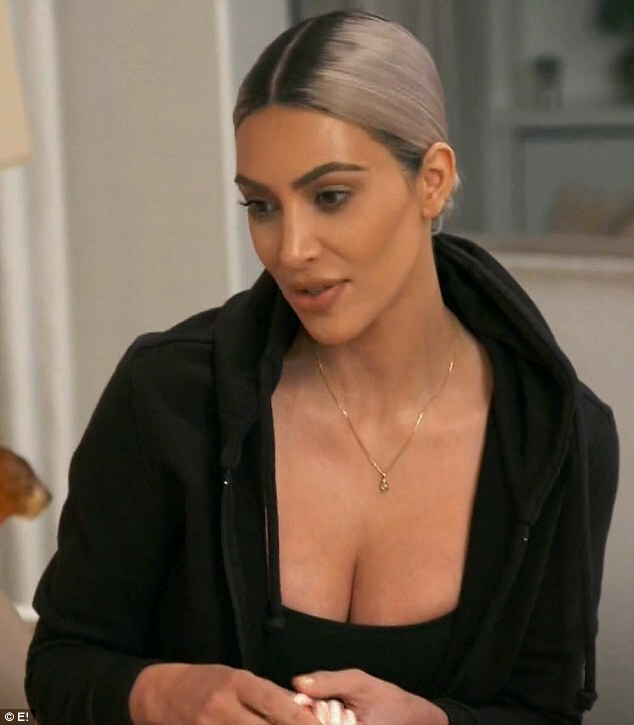 But after Kourtney complained that the others ‘bring me down,’ Kim countered to her older sister that ‘you need to relax’. ‘She doesn’t want to be a Kardashian anymore,’ Kim Kardashian, 37, decided.